When the call first came in (which I talked about in Part 1 of this series), I remember one of the thoughts that went through my head was about the heat. Houston, Dallas, Chicago, Phoenix, NJ, Atlanta and Philadelphia… in July. In Houston, Thunderstorms cooled things off right at the peak of the heat. In Dallas, it wasn’t /too/ hot, then rain cooled things off. In Chicago, unseasonably cool temps made the day just about perfect. Phoenix? No. It got up to 110 that day. I know what you’re thinking. “… but it’s a dry heat.” Yeah, forget that. Hot is hot. To put things in perspective: The team setting up all the production elements built most of the footprint the day before the event. 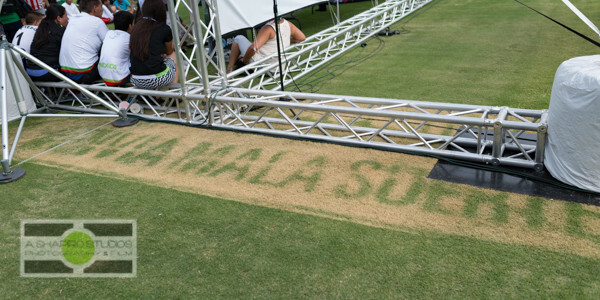 Most of the graphics are on rolled up vinyl banners, and had been unrolled and laid on the ground before being put up. They sat on the grass for about 10-20 minutes, and this was the result. The heat did 2 things to the day. First, everything around the footprint was overheating. The people, the gear – everything. One of the big complaints about the SB-900 was that it overheated too quickly, and would shut itself down. Nikon fixed much of that with the SB-910 (which I use now), but in that heat I saw the temp in the flash head spike. Also, we tried to mount a GoPro in the footprint to capture time-lapse – it wouldn’t even turn on. Second, the crowd. Or, what crowd? People were there. The stands were full. But, think about it like this. 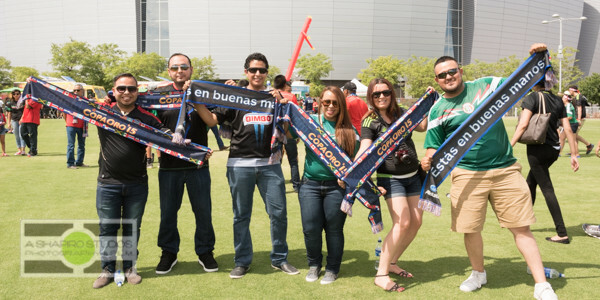 If it’s 110 outside, and you live in air conditioning, and your car is air conditioned, and the stadium you’re going to is air conditioned, would you get to the stadium 4 hours before the match to hang out in the heat, in a field with no shade? Me neither. And that’s why I love being a corporate event photographer. My client is looking for great images, and that’s what I need to deliver. The challenge is finding the shots that pull the story together. Shoot tighter, get photos of production elements… Make photos. 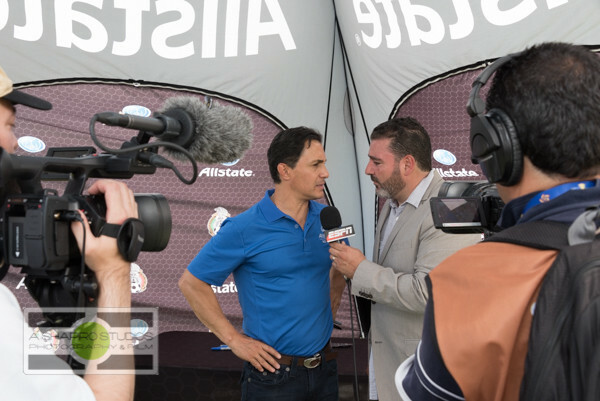 Heat stroke, overheating equipment, slow event be damned – We still had a great day in Phoenix! 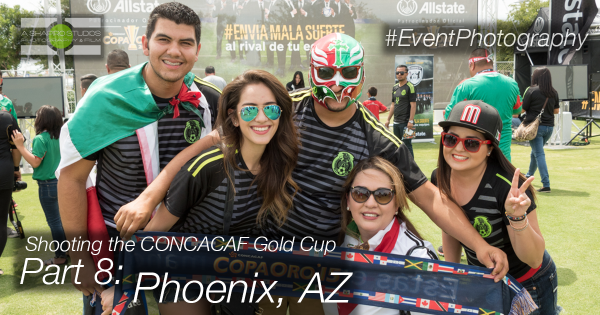 See the entire collection of event photos from the Futbol Fiesta with Allstate outside the 2015 CONCACAF Gold Cup matches in Phoenix – and on to New Jersey! In Part 9 I’ll take another short break from the event action to talk through my editing process. In the meantime, check out Part 5 in the series to see how I’m managing all the data through 9 events – it’s a great primer.